I was flabbergasted to realize this week that our hashtag #gingerjeans has almost 9000 hits on Instagram! 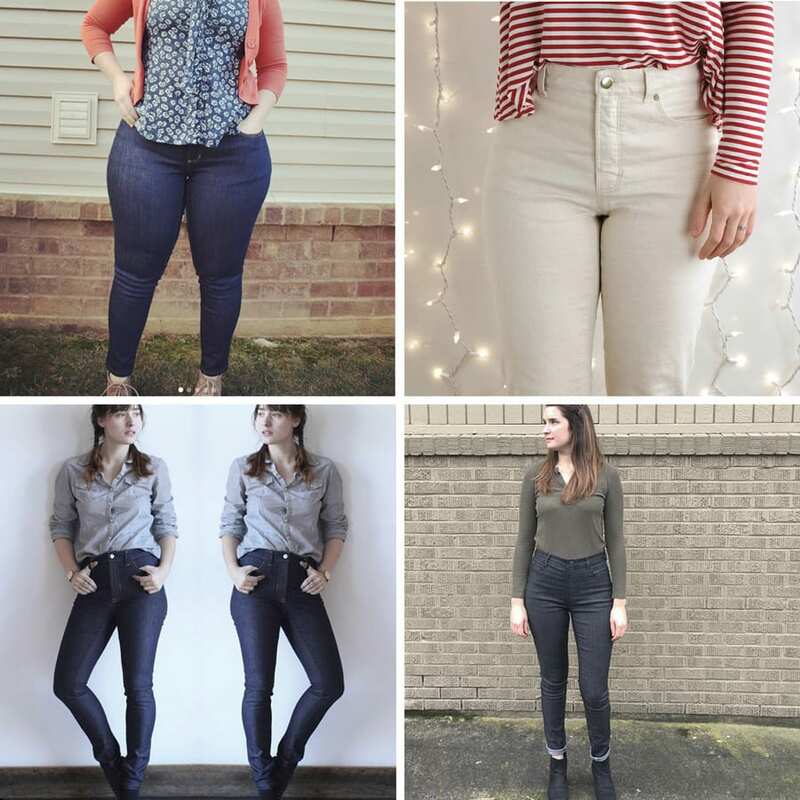 It is an absolute treasure trove if you’re looking for inspiration for your own pair, so I thought I would share some of my favorite Ginger Jeans from the last few months. 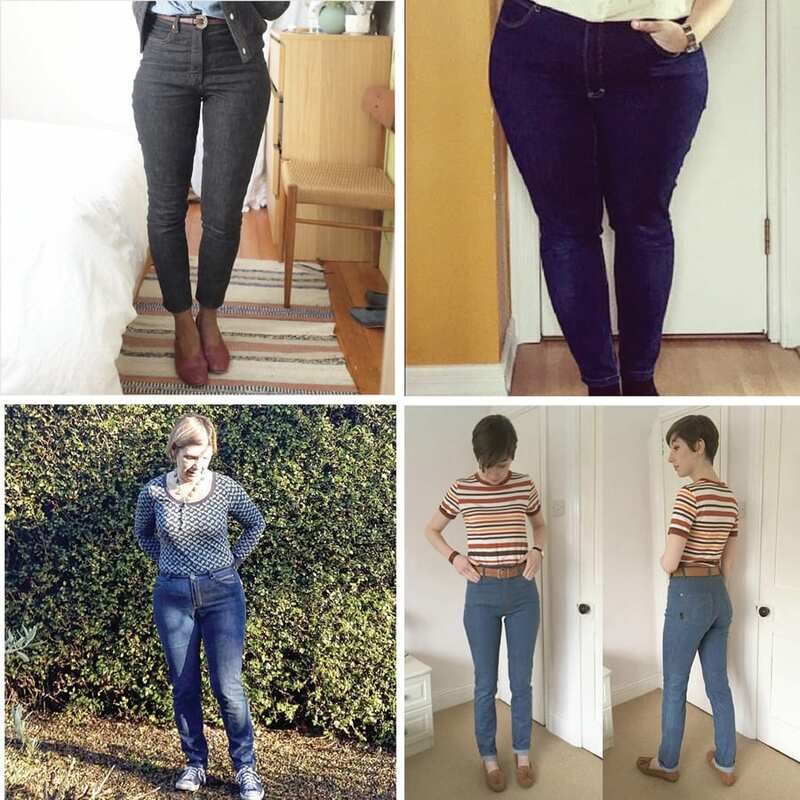 Jeans might be considered “basic” but the way you guys make them your own never ceases to astonish me. Indigo is probably the go-to choice for most pairs, but I love seeing fun prints and colours used to make the ultimate party jeans. 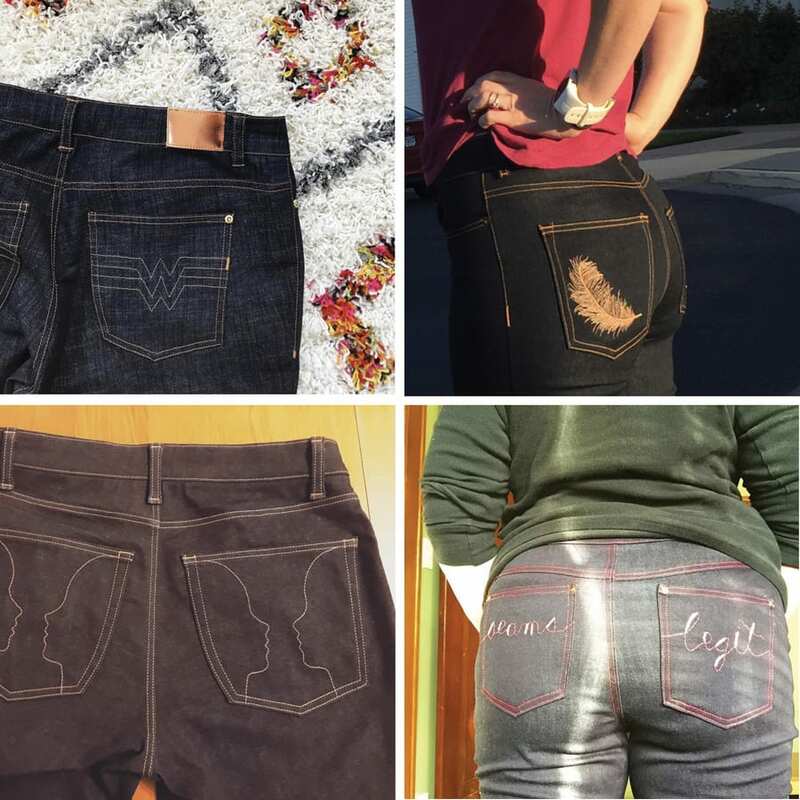 I have seen some truly inspired back pocket designs this month; I am 100% copying the Wonder Woman design on my next pair, and I like seeing what those of you with a yen for embroidery are getting up to. Some of these ladies nailed it on the first try, others had to put a bit of time into getting the fit they wanted, but all of them look absolutely fantastic. 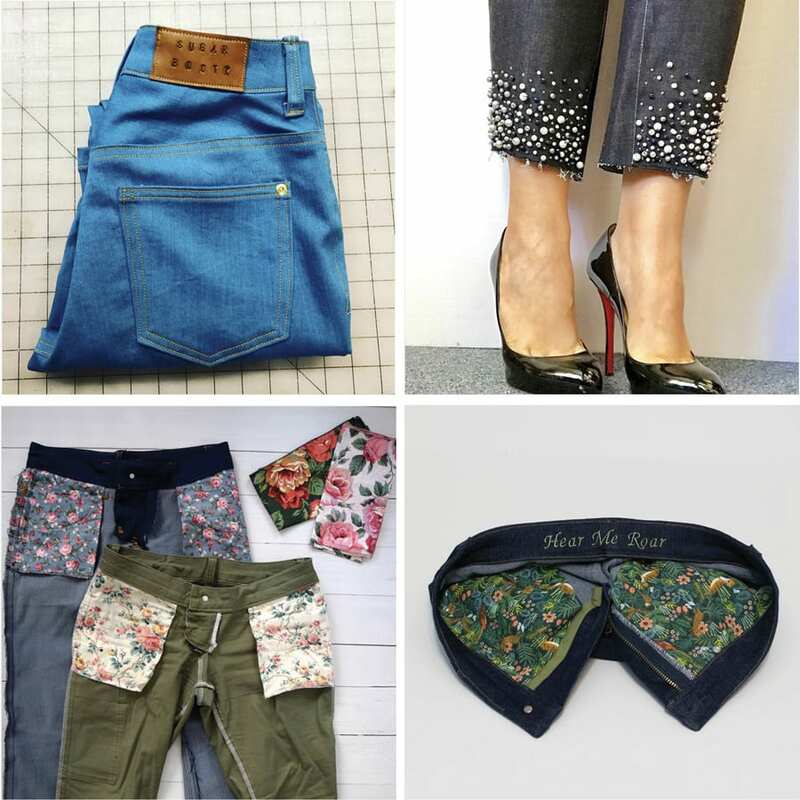 There are so many sneaky ways to make jeans your own. 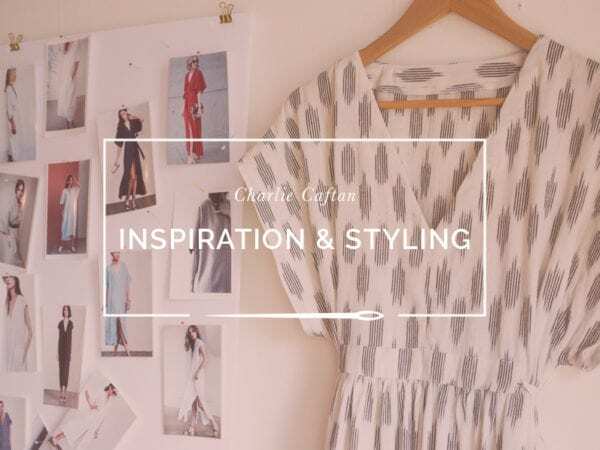 Adding embossed patches, choosing fun linings, embroidering yourself secret messages… and sewing on pearls! The list never ends. Your jeans don’t need to be just… jeans. 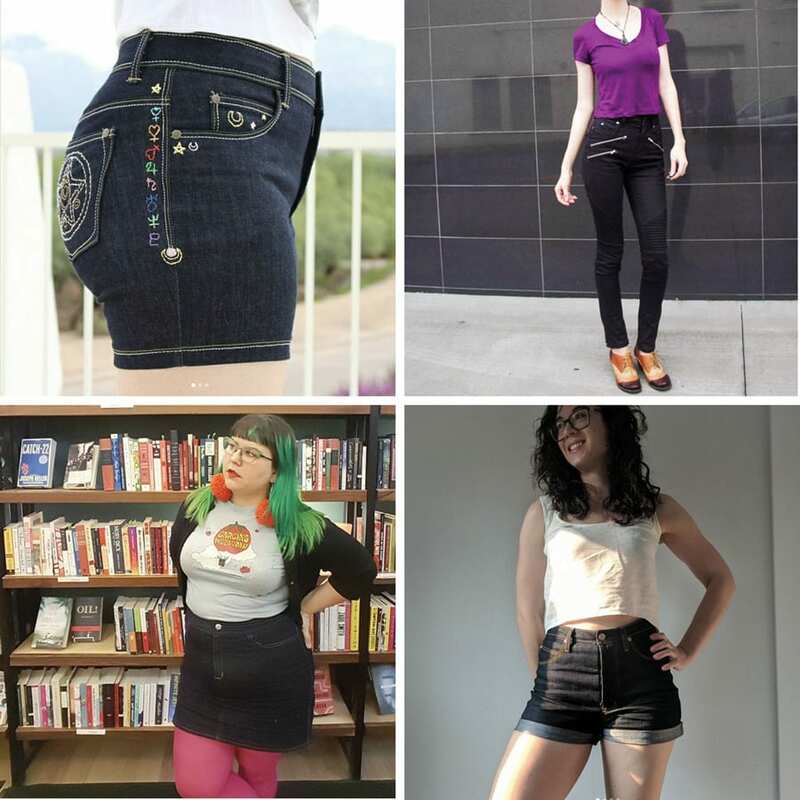 Love these hacks for Ginger shorts, a Ginger skirt, and a moto-inspired pair. 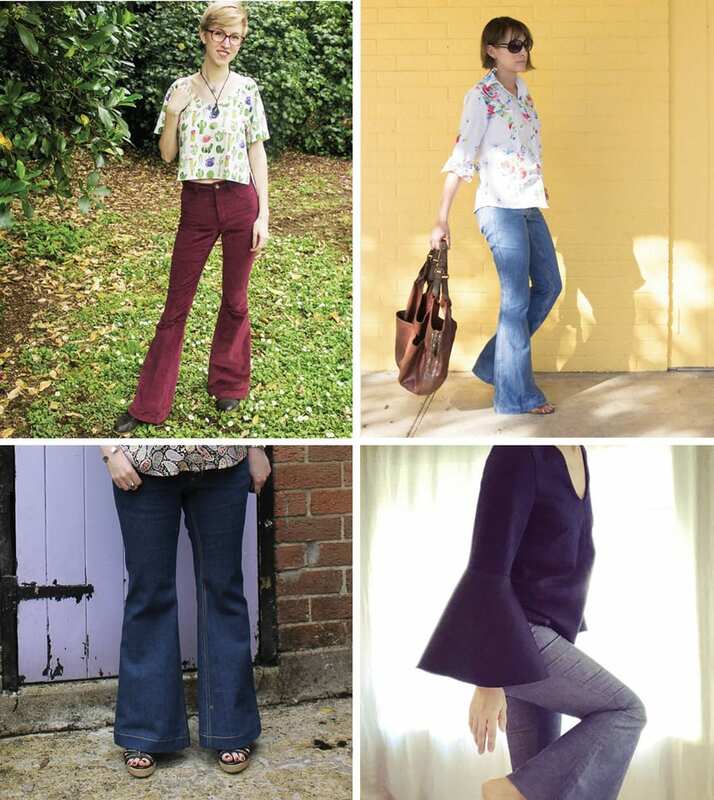 I’ve been seeing more and more of our Ginger Flares cropping up – so chic!